You need to have a SendGrid Account created with an appropriate plan. You can learn more about SendGrid from the SendGrid Official Website. Obtain the API Key required to access the SendGrid API by following the instructions on the Official Documentation. 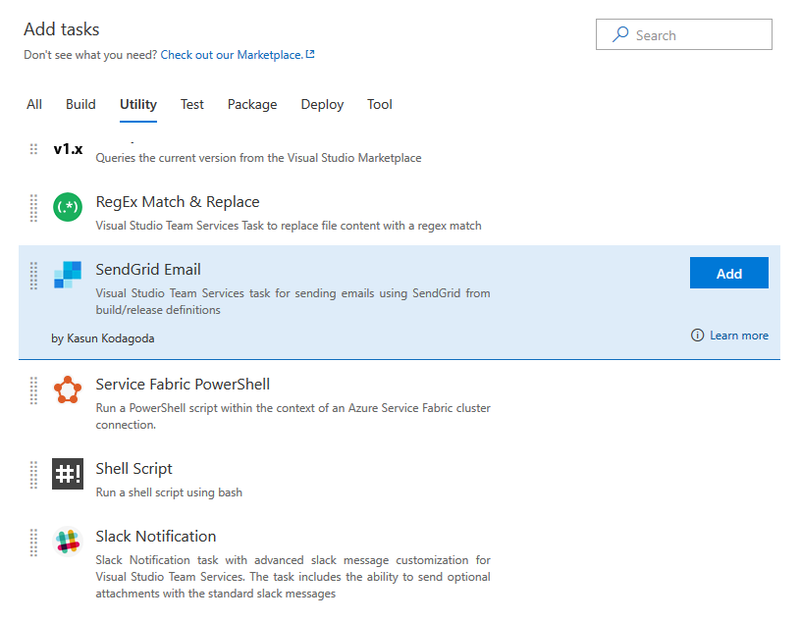 Install the SendGrid Email Task in to your Azure DevOps account and search for the task in the available tasks. The task will appear in the Utility section of the task list. Add it to your build/release task. 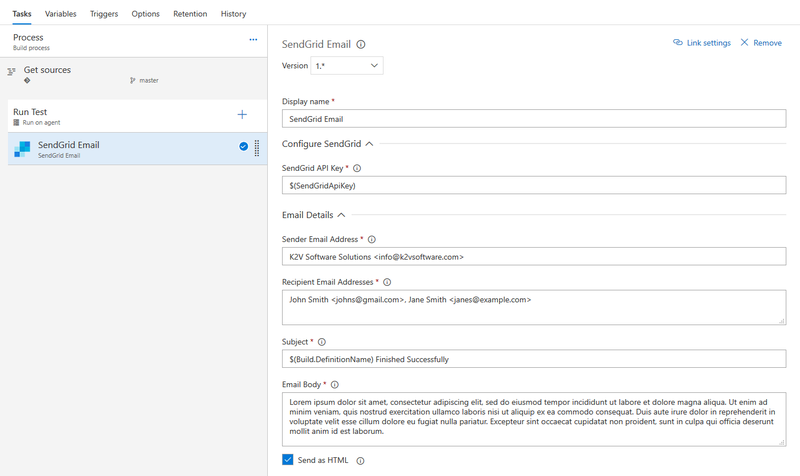 Configure SendGrid section has one required configuration you need to set.